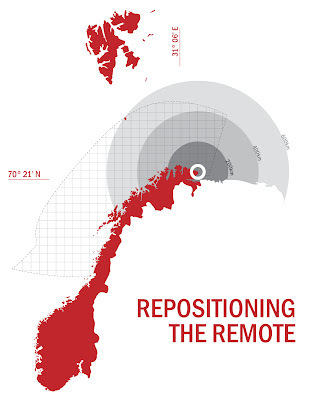 Today we have been reading a paper titled "The Tromsø Experiment: Opening up for the unknown" (written in Melbourne!) to be published later this year. 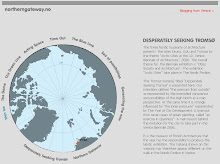 The poster Nuuk Safari extends practices and methods from The City Development Year/CDY in Tromsø to Nuuk in Greenland. 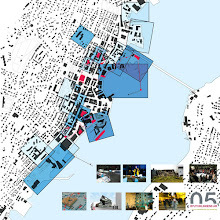 D&U, with tnt nuuk architects, is involved in the transformation of this city and its center. 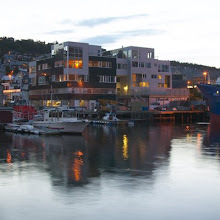 Self-Government of Greenland and the City of Nuuk, by its Mayor has invited us into this very challenging task. May bee the most important thing for us to learn is Inuit Qaujimajatuqangit "the Inuit way of doing things". 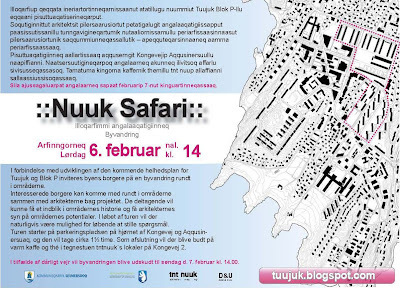 Next week we take off to the second Nuuk Think-Tank. Dialogue, debate and city walks. 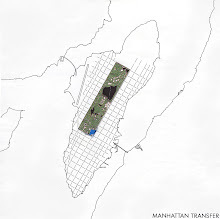 The project blog is up and going, you can follow the process at Nunarsup Qeqqani // Nuup Qeqqani - In the middle of the world // In the heart of Nuuk.. 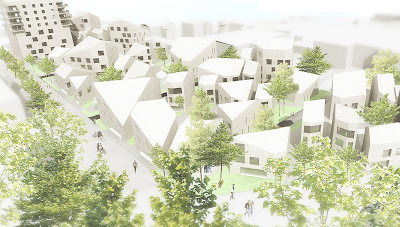 The winning entry in Europan 9 in Trondheim, the student housing project, is to be built, and will be opened in 2011. 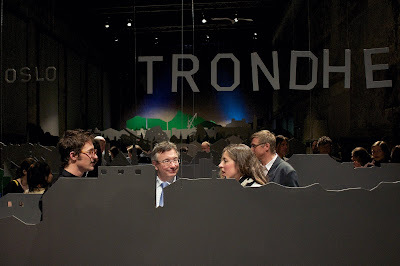 This image and the clip from Adresseavisen in Trondheim is from the Cornerstone Ceremony at the site on Wednesday the 27th. 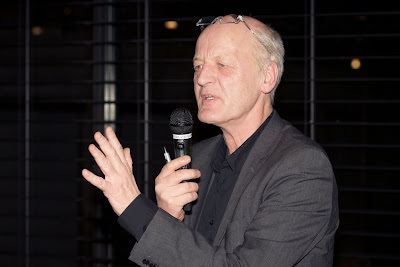 On Wednesday the 27th of January at 14.00, Knut Eirik as president of Europan Norway, is invited to Trondheim at the corner stone ceremony for the Europan 9 winning entry, MySpace. 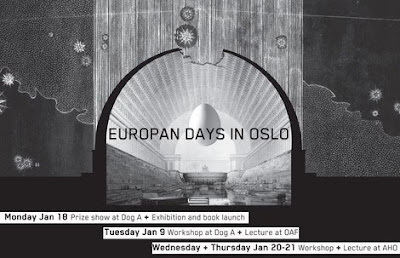 The builder, Studentsamskipnaden i Trondheim is proudly inviting to this important event. 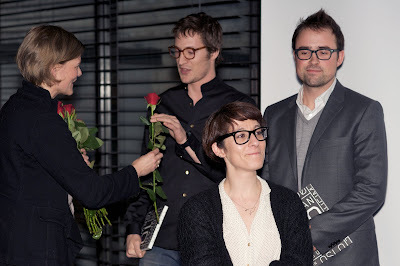 Both for them, the city, Europan and the winning Spanish team based in Rotterdam and Madrid; Murado, Elvira and Krahe. The Knowledge and Science minister Thora Haug will be present. 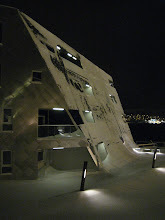 So will the architects. 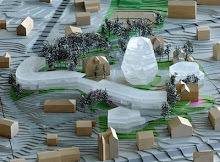 The project is now starting construction and will be finished in 2011, an important year for Trondheim. More to come on this issue later. 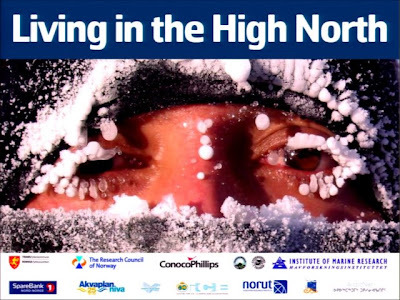 Arctic Frontiers policy section will be broadcast live via the internet in English and Russian. Click here to view the full schedule and links. 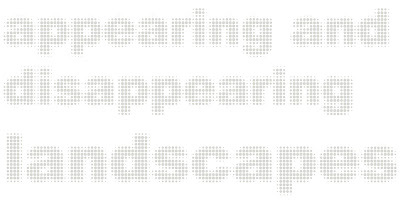 Students from the AHO Landscape Master course; Appearing and Disappearing Landscapes are encircling the field of Jæren. Here is Jin’s notation of art and sites. "The images on the white background are from Jæren, including the paintings on canvas from Kelly Kielland. The red soft is the installation art in Jæren. 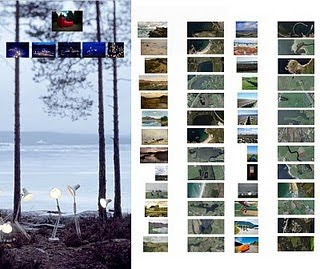 Below it are the photograph works from Rune Guneriussen." 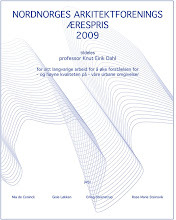 I’m sitting whit a fresh copy of city as biotope mosaic::reading // mindfield malmö in my hands. 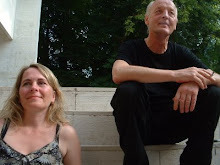 Magdalena and Gisle has really done a great job editing this book! The freshness from the blog is captured and our BAS students have also wonderfully presented the essence of their projects. Happy happy! 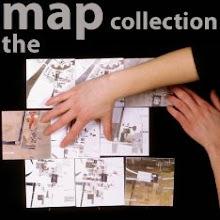 Thanks to all the students and contributors! 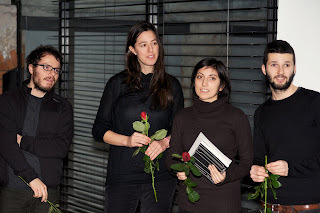 Last week the winners of the Europan 10 competition i Norway was announced at a grand price ceremony at DogA in Oslo, crowded house with eager people kewing up outside. The minister Karl Erik Schjøtt Pedersen (born and raised in Vardø) gave an opening speech about the importance of Europan for the National govenments policy on architecture and urbanism. 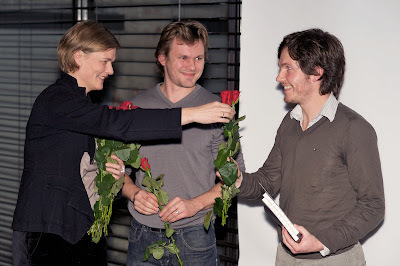 Nina Berre, the newly appointed director of architecture at The National Museum of Art, Architecture and Design (now head of Norsk Form) gave a fien speech also relating Europan Norway to is late founder Cornelius Brekke. tnt nuuk architects, social workers, artists and journalists discussing steps towards social and environmental sustainable city development. 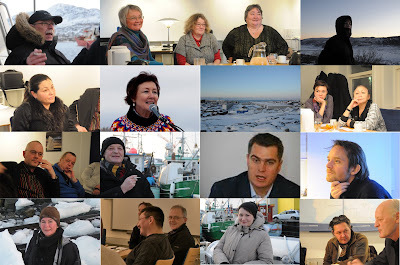 More will follow when we togehter with Helena, Aviaaja and Flemming from tnt nuuk launch the blog Nunarsuup Qeqqani at the end of January. 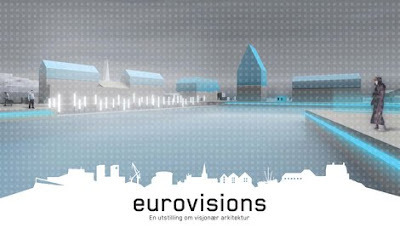 Eurovisions -an exhibition about visionary architecture. 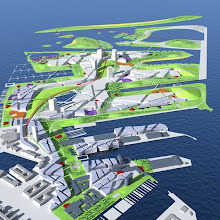 Bold ideas, innovative architecture and a constant investigation of the spatial frameworks of the European society are key aspects of the Europan competition. 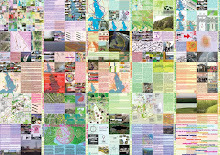 NORSK FORM and Europan Norway invite to the exhibition Eurovisions, an exhibition presenting the Europan competition and how it works, the cities involved and the ideas it generates. Get an insight in the competition that for the tenth time is held in Europe and has had thousands of participants throughout the years. The architects from Fantastic Norway has made a spectacular exhibition design, to be revealed in its full splendor at the prize ceremony January 18. 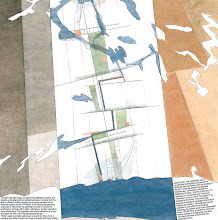 Renata Barros has made the graphic design. 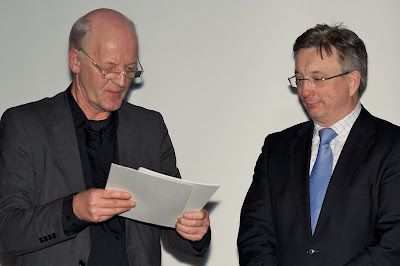 The president of Europan Norway (KED) is very happy with this; To exhibit is to open up! 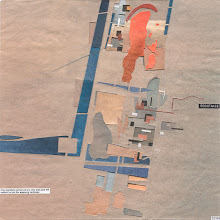 Landscape as architecture in the aftermath of COP 15: What shall the poor girl wear to all tomorrows parties? 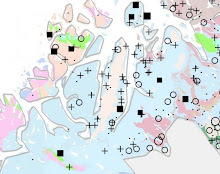 This spring we study the disappearing footprint of oil economy in Jaeren.